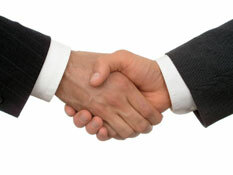 First, some words about the seller. I live in France, and the package was absolutely professional, arrived in a time of two weeks. Air-buble-protection in the hard-case, outside too. 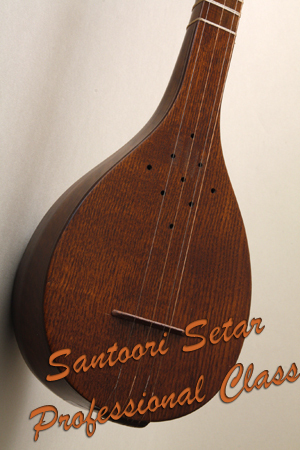 In November 2011 Santoori has surveyed and picked up 2 new instruments to his Setar products. Among them the best possible sounding Setars made of walnut wood. 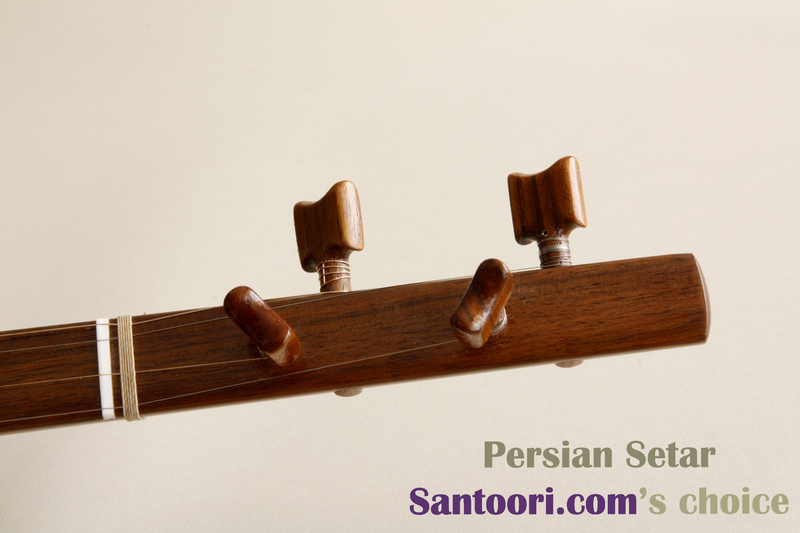 Normally the bowl strips of Setar are from white mulberry. 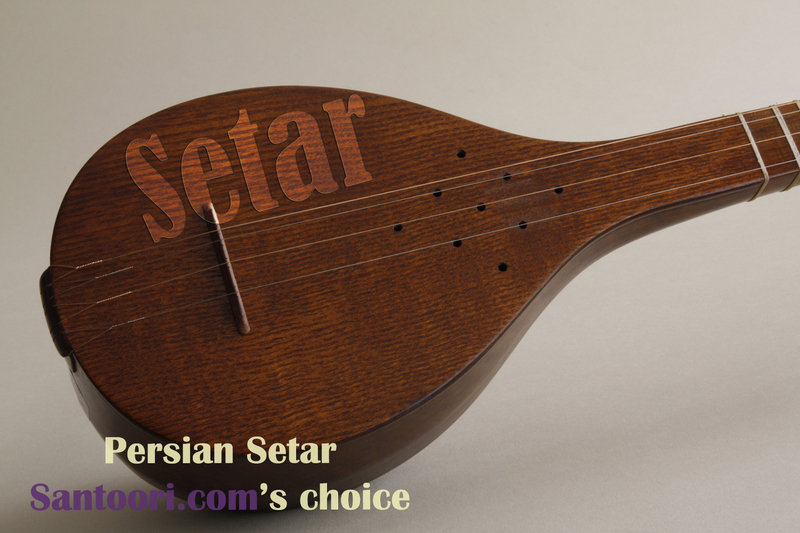 But after investigation under many Setar products we found Setar no. 3 and no. 4 the most attractive Setars. The Setars no. 4 are available either with bowl strips of walnut or white mulberry. 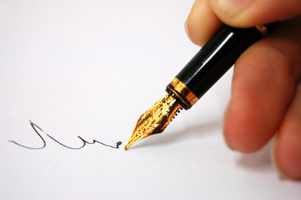 As a matter of taste we strongly recommend you to take your time and compare carefully the audio samples, which have been recorded of both products. Please mention by your purchase if the bowl strips should be made of walnut or white mulberry. 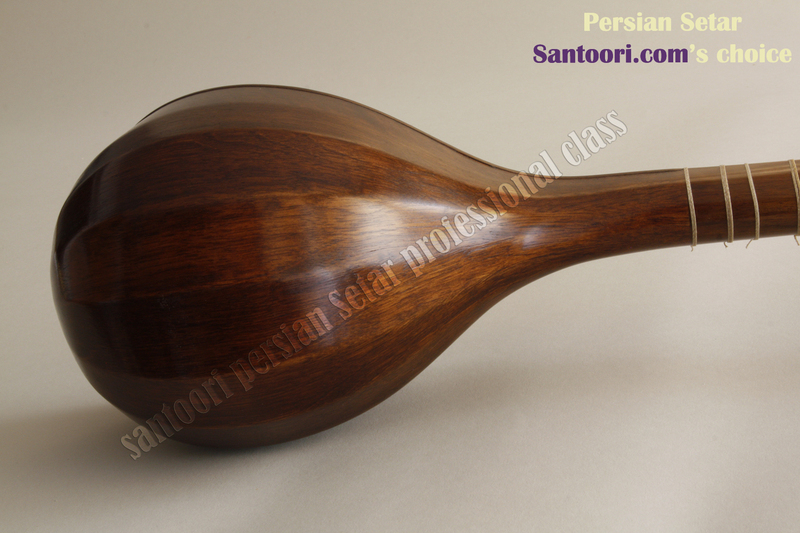 Santoori offers only picked up instruments which have been certified by Pooyan and Parham Nassehpoor in aspect of sounding, technical skills, tone wood choice etc. After the purchase process all these instruments have been adjusted on frets, bridge and strings for the best performance, so that you get the instrument in the "ready to play" condition. 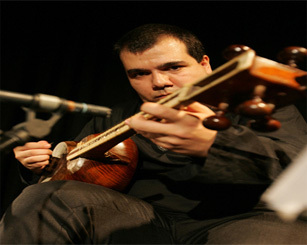 That's why Santoori most explicitly says his thanks to the affectionate cooperation of Parham Nassehpoor for the adjustment.